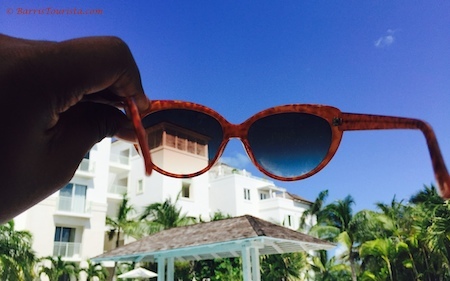 People are starting to catch on the magical beauty that is the Turks and Caicos Islands. The pristine beaches and soft sand are the stuff dreams are made of, and more and more visitors are starting to visit this Caribbean jewel. 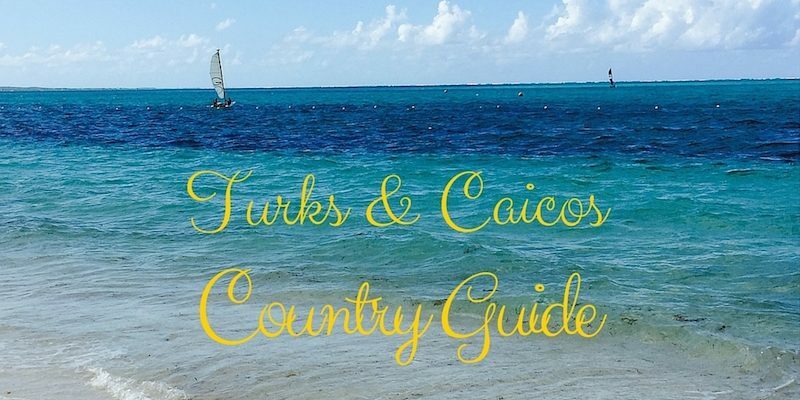 For your next visit, here are some tips for planning a trip to Turks and Caicos. Turks and Caicos is a collection of islands in the Caribbean. It’s nearest neighbor is the Bahamas, and it is a short 90-minute flight from Miami. There are numerous islands comprising Turks and Caicos Islands (TCI), including Providenciales (home of the international airport), and also Grand Turks, where most cruise ships dock. Most visitors opt to visit one of these islands, with more of an emphasis on Providenciales, but day trips are available between the islands. The vibe on Providenciales is laid back. I will repeat that… the vibe on Provo is laid back. Turks and Caicos Islands is not the country for the “turn up.” The main town has a few restaurants/bars and some shops in a small plaza that you can visit in under an hour. Many of the local spots are spread out around the island. Turks is a place where you relax, maybe do a few activities, and enjoy the absolutely stunning beaches. It’s a great place to turn down. Turks and Caicos is not a cheap country. At all. Plan on spending a pretty penny if you want 4+ star accommodations, especially hotels on Grace Bay. Turks is also a tourist island, so the prices are comparable to prices in the U.S. or other tourist destinations. This is not the easiest island to maneuver if you are a super budget traveler, so bear that in mind. This is the prime spot to stay on the island and many hotels and resorts are situated along the bay. I know people who have stayed at Gansevoort and Alexandria and spoke very highly of their experiences. 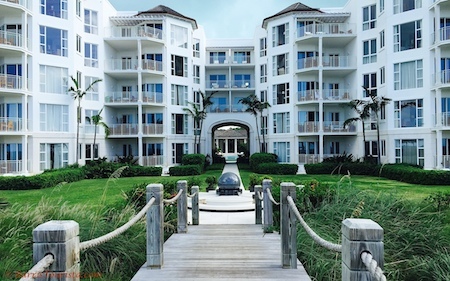 I stayed at the West Bay Club on Grace Bay, and it was absolutely magnificent. The resort was condo-style, with huge, open rooms, two balconies, and a kitchenette. But the best part was the location. The resort was right on the beach and accessible via boardwalk in just a couple of minutes. The beach is private and the whole resort is very walkable with a large pool. It was definitely one of the nicer resorts I have stayed in, and its proximity to other resorts and the beach was perfect. I have been to numerous Caribbean islands, and I can say, far and wide, that Turks and Caicos has one of the (if not THE) best beach I have ever experienced. 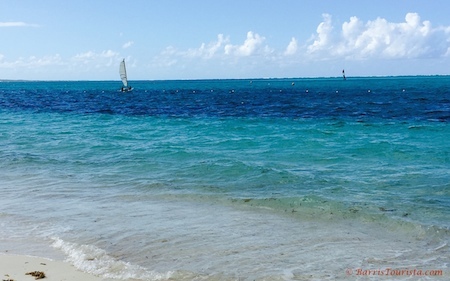 Grace Bay is magical, with its mild waves and crystal clear water. And the sand… I don’t even love sand, but it is the softest sand I have ever experienced. It’s like a soft powder. You could legitimately sit on the beach all day and relax (and enjoy an adult beverage). And be sure to take in more than a few sunsets (and sunrises for the early morning types) on the beach. You will not be disappointed, as the purples that paint the sky are just breathtaking. 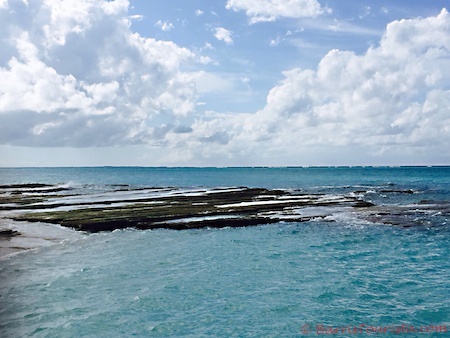 Providenciales (and TCI in general) is a relaxing place, but there are definitely some activities you should take advantage of while you are there. If you are on the island on Thursday, this is apparently the must-do event on the island. We weren’t visiting on a Thursday night, but the fish fry is on the beach on Grace Bay, and is said to be a great time for visitors and locals alike. Fresh fish is king here, with many restaurants serving fresh catches and conch, which is also a national delicacy. A boat trip with snorkeling and a secluded island and unlimited rum punch equals perfection. And that’s exactly what you will get on Caicos Dream Tours boat ride. The crew dives for fresh conch, takes you to a snorkeling spot and iguana island, all while you soak up the sounds of the Caribbean and rum punch. The barrier reef is the third largest in the world. They are part of the ABCs of barrier reefs (largest Australia, second largest is Belize, and third largest is Caicos). 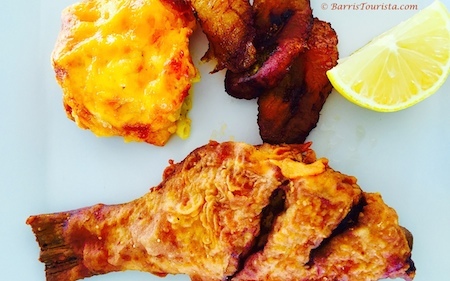 We had the amazing experience of doing the Taste of TCI Food Tour. Our guide, Shaniqua, is a local who was raised on TCI. She takes you around to four local restaurants, where you can try various local delicacies, like conch, curried meats, and fresh-caught fish. And don’t forget about the rum tasting in town, where you can grab rums for your return back home. Note: Fresh conch is way different in texture than frozen conch. Even if you have previously tried it, you want to make sure to sample the fresh catch as it is likely to change your perception. Another activity to consider is a beach horseback ride. 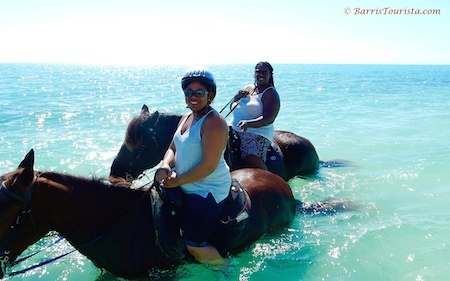 We rode with Provo Ponies, where a group of us made our way from the sanctuary to the beach and into the water for a few hour ride. It was such a fun morning and we got great pictures. Just make sure you bring the bug spray, as the humidity and proximity to horses makes for mosquitos. Oh, and wear shoes and clothes you don’t mind getting wet. This is the key activity to be had on TCI. It is such a perfectly relaxing place that you won’t want to miss the opportunity to unwind, be it by the pool or on the gorgeous beach. TCI is part of the British Commonwealth, so they drive on the left side of the road. We weren’t willing to even attempt that feat, but from researching ahead of time we knew that taxis are not cheap on the island. 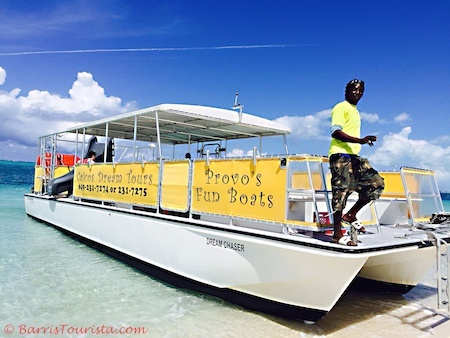 We hired a driver to pick us up and return us to the airport ahead of time, along with Taste of TCI Food Tour taking us on a trip around the island to learn more about Provo. Luckily, for many of the activities, they will pick you up at your resort, so you may not have to worry about a car if you plan correctly. Turks and Caicos (specifically Providenciales) is definitely a place I plan to return to. Even though it’s an expensive country, the fresh fish and seafood is a foodie’s dream. And the stunning, absolutely fantastic beaches are something to be reckoned with. It is the perfect location to relax, have an adult beverage, read a book or magazine, and leave all of your worries behind. This post includes affiliate links and tours for which I received a media rate. All opinions are my own. I absolutely love luxury travel and have had Turks in mind for quite some time. The foodie cooking tour resonates with me. I want to try horseback riding again as well. Yes Stacie, yes! And perhaps sooner than you think. I have been seeing deals to TCI. For like a couple hundred roundtrip depending on your location. It’s coming! Girl, the water was so warm. I was in heaven! They have had some great deals from Miami for sure so keep an eye out! This is right on time, I’ve spoken to at least three people this week about going to Turks & Caicos. It sounds beautiful and I’ve heard nothing but great things about it. I need to put this on our travel list for 2017. I’ve never been on a horse but I want to ride one into the water. Did I mention that I also can’t swim. Oh okay. Mimi, you will be fine with not being able to swim (but you should learn BTW). And yes to TCI. It is such a fantastic place to relax!!! I am posting this week and next with more excursions and reviews so come back by and tune in! Great tips. I visited for my birthday. We loved it. We also stayed at Grace Bay at the Sands though. The beaches here are AMAZING! We rented a car to get around. Aren’t the beaches heavenly though? OMG, magnificent! 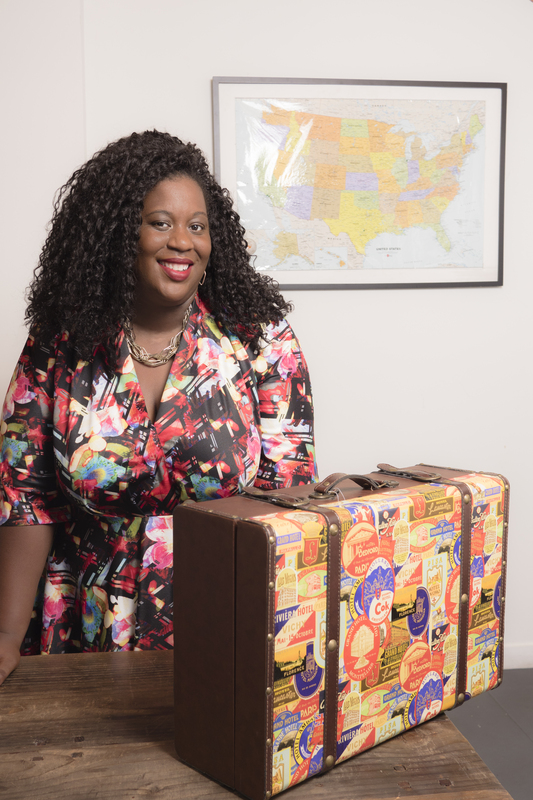 Travelistas know how to travel in style! Love it. I’ve been introduced to so many neat places through the eyes of travel bloggers. It looks beautiful there and your trip sounds amazing. The fish fry, the excursions, the beach & those adult beverages wants me all the way there. I pinned this! I have been to Grand Turk on a cruise but I want a full trip to Grand Turk! Grat info and I cant wait until I visit one day I will review your notes on this island. You are so making me want to book a vacation to Turks and Caicos right now. This place sounds amazing. Katherine, book it! It’s amazing! Yay- this is right on time! Heading there this summer. Thanks for this! 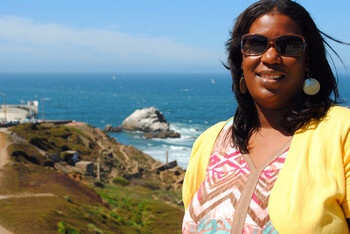 Valerie, check out my post on the West Bay Club. It was magical. And more posts coming in the next week and a half on my stay in Turks. You will love it! This is on our to do list! When we were in Jamaica, We rode horses in the water as well. Wasn’t it fun! Thanks for sharing! This place looks amazing! I will need to add it to my list of places to visit. Beautiful water! Rebecca, the beach was incredible. The sand was like powder. I was so overwhelmed with giddiness! Thanks for sharing these details, Its a perfect summary for anyone thinking about visiting. I forwarded it on to a friend that’s been thinking about going because I know if I did it justice like you. Sorry you missed the Thursday Fish Fry, it was all that!!! So you’ll definitely have to go back, if for nothing else, lol. Exactly, Kimberlee. I need a fish fry on the beach with rum in my life. Legit! Looks picturesque! Any place warm, with good food that looks out of water is a place I want to be. Heather, it was soooo picturesque! And the sand was like powder, no joke! I had never experienced anything like it. I would love to visit Turks and Caicos! It’s on my list! Love your pictures! Thanks, Claudia! They don’t do the island justice! It is always great to discover a new places to go to from other bloggers. I am officially in love with Turks and Caicos! It is now in my list of places to visit – it’s perfect for me. I love the beach, I love pretty sights, and great food. I don’t mind dishing out bucks for travel as it is the only luxury that I don’t think I can ever let go. Beautiful beach. I can’t wait to go out on our nearby lake and have fun catching crappies and soaking up the sun. This would be such a fabulous vacation with lots of memories, beautiful. Riding a horse in the water? I have never seen that before. Looks so fun. It looks so amazing! I love your horse photo. I have always wanted to visit Turks and Caicos. It looks so beautiful. Oh it just looks so beautiful there. I would love to plan a trip there for some much needed mommy solo time. I hope to be able to do this once I accomplish more goals I’ve set and hopefully if my blog is successful. It’s on my list of go to places! Looks beautiful! Caicos looks like an awesome place to visit! I hope to get out there some day. It looks so beautiful! Thank you this was great information! You’re welcome, Natasha, glad to help!